A strange couple arrived in Jefferson, Texas on January 17, 1877 and checked into a hotel under the name “A. Monroe and wife.” He was a jewelry dealer and, with her ostentatious display of diamond rings, she could have been modeling his wares – but the diamonds were all her own. 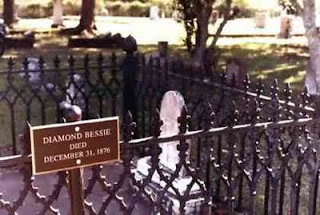 In Jefferson she was known as “Diamond Bessie.” On January 23, “A. Monroe” left Jefferson by train, alone. Two weeks later, a woman’s body, shot through the head, was found decomposing just outside of Jefferson. It was Diamond Bessie, but her diamonds were gone. When it was learned that “A. Monroe” was actually Abraham Rothschild, son of one of the richest men in Cincinnati, it was the beginning of four years of legal wrangling that Texas would never forget. The woman we know as “Diamond Bessie” was born Annie Stone in Syracuse, NY in 1854. She was well educated for a young woman of that era, and by the time she was a teenager she was also very beautiful. She had raven black hair, fair skin and steel blue eyes. At age 15 she left home to be the mistress of a man named Moore, and although the relationship did not last, she continued to use the name Moore throughout her life. She was best known as Bessie Moore. Working as a prostitute, working in a Cincinnati brothel called the Mansion of Joy, Bessie Moore had many admiring clients who showered her with diamond jewelry which she wore with pride. She would travel to the south, plying her trade in New Orleans and Hot Springs Arkansas. In Hot Springs, a southern resort town famous for prostitutes and conmen, she met and fell in love with Abraham Rothschild. They traveled together from 1875 until her death two years later. 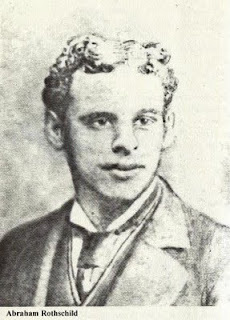 Abraham “Abe” Rothschild was son of Meyer Rothschild, a wealthy Cincinnati jeweler, reputed to be distantly related to the European banking family. Abe Rothschild became a salesman in his father’s business and was quite good at it when he was sober. But Abe had a taste for the sporting life and spent more time drinking and chasing women than selling jewelry. At the time he met Bessie Moore his family had disowned him. Abe and Bessie had a tumultuous relationship as they traveled between Cincinnati and the south. They had both become hopeless alcoholics, and were constantly fighting in public; sometimes the fighting turned physical. They fought over money. He forced her to remain a prostitute and he tried to make her sell her jewelry. Bessie would do almost anything Abe asked, but as much as he pleaded, she would not sell her diamonds. Bessie wanted Abe to marry her and threatened to go to his parents if he refused. He finally agreed but said they must do it someplace where it could be kept quiet. It is unclear whether a wedding actually took place at all, but it may have been the reason they were in Texas. It was rumored that they were married in Marshal, Texas before they arrived in Jefferson. 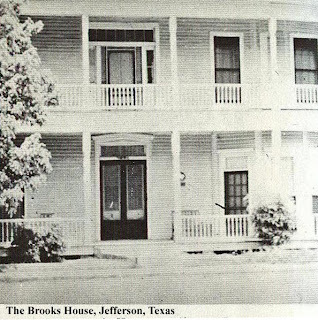 The couple behaved as husband and wife when they arrived in Jefferson, Texas on January 19, 1877. With their fine clothes and Bessie’s ostentatious diamond rings, they made quite an impression on the East Texas town. They checked into the Brooks House as A. Monroe and wife. When Abe was overheard calling his wife Bessie, she became known around town as “Diamond Bessie” and that is how she would be forever remembered. On Sunday January 21, Abe and Bessie bought a lunch and were seen crossing a bridge over the Cypress Bayou, on the Marshal Road. That evening Abe Rothschild returned to the hotel alone he claimed that his wife had stayed with some friends over the bayou. 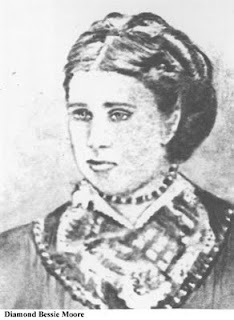 Jennie Simpson of Jefferson testified to seeing Abe at the hotel wearing two of the large diamond rings that Bessie had been worn the day before. Two days later, Abe, with his wife’s luggage, took a train out of town. On February 5, a woman was found dead, lying in the snow in the woods off the road to Marshal. She had been shot once in the temple and the body was beginning to decompose around the wound. Near the corpse were the remains of a meal – chicken bones, bread crumbs in discarded wrapping paper, a half-finished bottle of beer. 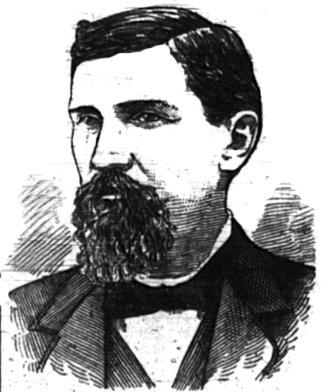 The corpse was identified as the woman who had come to town with Mr. A. Monroe. It was Diamond Bessie, but all of her diamonds were missing. It was learned that, the couple had checked into a hotel in Marshal as "A. Rothschild and wife, Cincinnati, Ohio" before arriving in Jefferson. The town sent their lawmen to Cincinnati to arrest A. Rothschild and found that, Rothschild, overcome with guilt and remorse had shot himself in the head. The shot took out one eye and disfigured his face, did not kill him. The men from Jefferson arrested Rothschild in his hospital bed. The legal maneuvering began immediately. Though he had disgraced the family, the Rothschilds did not want one of their own executed in Texas. There was a habeas corpus hearing in Cincinnati before Abe could be extradited, after succeeding at that, the Jefferson authorities held another habeas corpus hearing in Marion County, Texas. Then the defense moved for a change of venue and succeeded in moving the trial to Marshal, in Harrison County. 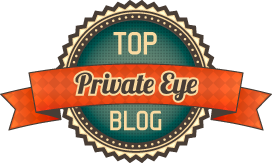 Every serious trial lawyer in Texas played a role in the case. For the prosecution, they worked as volunteers, paid by contributions made by citizens of Jefferson. The defense team of ten Texas attorneys was well paid – so well that one attorney claimed he would never need to work again. But, in spite of his high-power legal team, Abraham Rothschild was convicted, in Marshal, of first degree murder. The defense took the case to Appeals Court. They argued that the indictment was improper because the prosecutor was present when the grand jury wrote it. Also that one of the jurors should have been excluded for remarking that he had already decided the defendant should hang. Though it effectively ended his legal career, Judge Clark of the Court of Appeals overturned the guilty verdict. The prosecution was back to square one. They issued a new indictment, and prepared for a new trial, this time there would be no change of venue, the trial was held in Jefferson. The chief witness for the prosecution was Jennie Simpson, who saw Abe Rothschild wearing Bessie’s rings after he returned alone from across the bayou. Col. Culbertson, the defense team’s toughest questioner, cross examined Jennie Simpson for an entire day, twisting her words and leaving her angry and confused, and rendering her testimony unbelievable. At 4 P.M. on December 30, 1880, the jury began their deliberation, at 8 P.M. they returned with their verdict - not guilty. Abe Rothschild and his parents hurried to a waiting carriage and within minutes were on a train for Cincinnati. Abe Rothschild got into legal trouble again in 1909 when he was convicted in Pennsylvania of a quarter million dollar diamond swindle. Does anyone repsonsible for this site realize that the timeline states date of death Dec 21, Storyline states date of death Jan 21, and Gravemarker says Dec 31? Is there a reason for this? The correct date is January 21, 1877; the error has been fixed. Gravestones are not a reliable source of information, especially in a case like this where the body was found more than a month after the death. Sorry Strawbearyred, I deleted your comment by mistake and can't get it back. Post it again if you'd like.